After Thigao Cunha (to Port FC) and Sinthaweechai Hathairattanakool (to Suphanburi FC) the third big domestic deal in Thailand just happened these days. 121 games, 59 goals. These are the bare numbers of the latest signing of Bangkok United and the name behind the numbers is no one else than Mario Gjurovski. The Macedonian arrived in Thailand in 2012 and was under contract with Muang Thong United since. He is regarded as one of the stars of the Thai Premier League and after 4 years with one of the two leading clubs of the League it was hard to imagine he could move elsewhere within Thailand. The TPL has announced the rough schedule for the 2016 season. And the schedule holds some challenges for the scheduler. 13 February 2016 is the date Thai Football fans should mark in their calendars. After a meeting which lasted several hours last week, the League has scheduled the kick off to the 2016 TPL and Division 1 season for the 13 February. The season is scheduled to end 30 October. Thus the League will start at the same time as in 2015, but will end six weeks earlier because of the Southeast Asian Championships. For the TPL it means less room for any postponement. Although the current TV contract between the Thai Premier League Ltd. and True Vision is still running until the end of 2016, a new contract has been signed recently for the years 2017-2020. As announced at a press conference some weeks ago, the company which operates the Thai Premier League, the TPL Ltd., agreed on a new deal over its televsion rights with True Vision, a subsidiary of telecommunications giant True. After the cycles of 2011-2013 and 2014-2016, the new contract means the third agreement between the two parties. 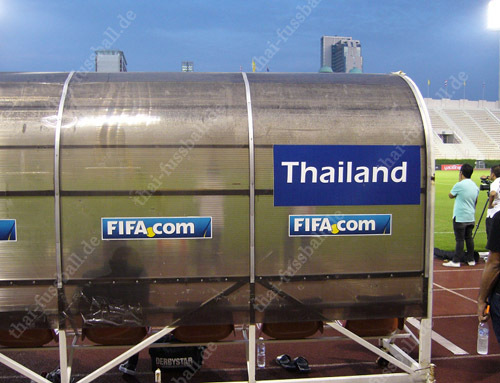 Thailand's under-19 is starting its qualification campaign to the AFC Championship 2016 on Wednesday and wants to follow its U-16 and U-23 counterparts to the 2016 finals. A few weeks ago Thailand's U-19 rolled through the regional AFF Championship almost literally, to win its fourth title by scoring the remarkable amount of 29 goals; conceding just two and without dropping any point. In the final the Thais even could overcome their old rival Vietnam by winning 5:0. Equipped with much momentum and confidence Anurak Srikerd's side now takes on the qualification tournament for the AFC Championships 2016.